With a career that spans over 35 years David is a veteran of the stage & screen. A NIDA graduate, he made his debut at The Old Tote Theatre in The Imaginary Invalid, shortly thereafter landing a role in Spring and Port Wine in London’s West End. 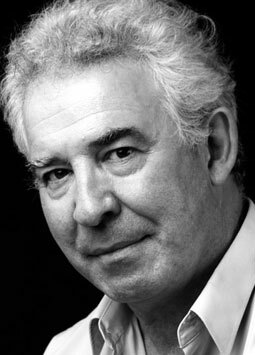 David remained in England for six years appearing in many television and theatre productions including Hitchcock’s Frenzy and Mary Queen of Scots with Vanessa Redgrave. Upon his return to Australia David continued his illustrious career, appearing in many of Sydney’s Marian Street Theatre productions including the title role in Dracula, Robert Browning in The Barretts of Wimpole Street,, Season’s Greetings and Long Day’s Journey into Night. Among his television appearances he most recently played Colin Blackburn in All Saints. Notable film credits being Mad Max 2, The Killing of Angel Street, Norman Loves Rose and The Settlement. David has worked extensively in radio and done a great deal of voice-overs.